I’ve written a lot about my time exploring Central Asia and traveling along the Silk Road, and something people always ask me is if I can recommend some good tours for the region. Now, I traveled through Central Asia independently, but I also met a lot of travelers on tour groups, I’ve since heard from readers who chose to join a tour, and I’ve done a lot of research into Central Asia and Silk Road tours. Why? My trip through Central Asia and the Silk Road was life-changing and I want everyone to be able to experience the area. I even convinced some family members to do a tour through Uzbekistan and Tajikistan and they loved it. Y A Y ! Should you travel Central Asia and the Silk Road independently or as part of a tour? This was a question I had to ask myself when planning my own journey through China, Kyrgyzstan, Kazakhstan, Uzbekistan, and Tajikistan. I ultimately decided to do the trip independently because I had a lot of time (four months), two of my friends wanted to do the same trip with me, and – this is a big one – I speak some Russian. The four months I spent traveling through China, Kyrgyzstan, Kazakhstan, Tajikistan, and Uzbekistan are filled with some of the greatest memories of my life. In fact, I kind of can’t imagine what my life would have been like if I hadn’t gone on that backpacking trip. Fun fact: I started travel blogging in Central Asia, so I might not otherwise have become a full-time blogger. It was also really, really difficult. I’m not saying this to discourage you from going – like I said, I’m so glad I did! – but if you’re going to do Central Asia independently, you should also be prepared. Kyrgyzstan is set up quite well for tourism now, but the other countries we visited were pretty crazy. The three of us hitchhiked crammed into the back of trucks, knocked on random doors hoping for a home stay in places with no hotels, and my friends actually learned a lot of Russian, thanks to the lack of English anywhere. It was incredibly fun, but also maybe not for everyone. I remember meeting a couple in Kyrgyzstan who had just finished a tour of the region and were then taking the time to explore a bit on their own afterwards, which I think can also be a really good idea. The tour took them to all the hard to reach, off the beaten track places and gave them a sort of crash course on Central Asia, but then afterwards they were able to experience a bit of independent travel in Central Asia as well. Win win! So, I don’t know if you’ve already done a lot of research into Central Asia and Silk Road tours, but there are a lot of options out there. That being said, I’d say there are two obvious front runners in the business: Intrepid Travel and G Adventures. These are big name tour companies, which means they’re incredibly reliable. So if you sign up with them you know you aren’t going to get scammed (something that ugh, is all too common), your guides are going to be professional, and everything is going to run smoothly. Intrepid and G Adventures also both offer a nice variety of tour itineraries (suitable for different budgets and timeframes) for Central Asia and the Silk Road. In fact after hearing about people’s experiences on some of their Central Asia tours, especially some of the off the beaten path places they were able to visit, I’m dying to do them myself! Okay, so you’ve narrowed down your preferred Central Asia tour operators to Intrepid Travel and G Adventures – which one do you choose? You’ll hear a lot of opinions on which of the two tour companies is better (often depending on which company a person is working for/getting a bigger commission from) but to be perfectly honest, I’ve heard amazing things about both companies in Central Asia. The general consensus is that G Adventures’ tours are slightly cheaper, while Intrepid Travel has somewhat smaller groups and a more consistent quality level across the board. But when looking specifically at their Central Asia tours the quality and prices are quite similar. I would recommend reading through all the itineraries and choosing based on which tour description and departure dates appeal most to you. Now for the fun part: choosing your tour! There are a lot of options out there, but I’m going to list my top choices below. I’ll order these according to length, because that’s usually the biggest factor when choosing a tour. 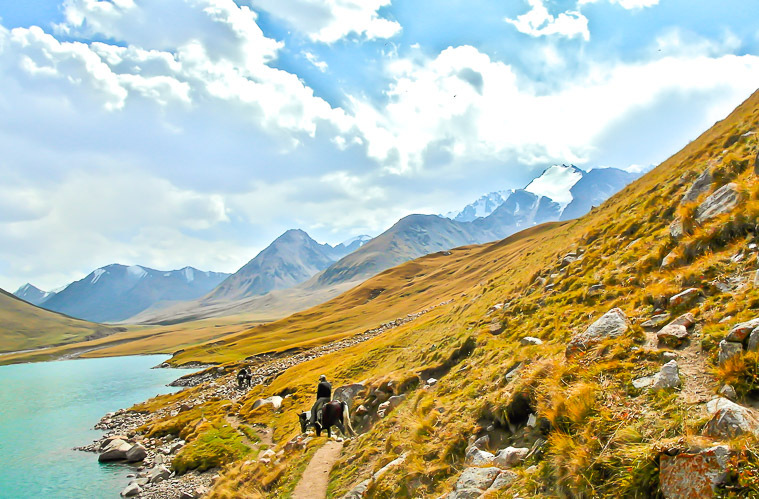 This is the ultimate Central Asia tour. If you have the time and the money to dedicate to this one, please, please do it! This tour starts in Xi’an, China and finishes in Istanbul, Turkey, while passing through Kyrgyzstan, Uzbekistan, Turkmenistan, Azerbaijan, and Georgia. 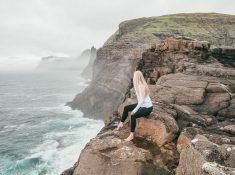 It gets you truly off the beaten path in these places for some once in a lifetime experiences. Again, this is a long tour, but that also means that you will experience SO much on this journey. This tour starts in Beijing, China, and continues through Kyrgyzstan and Uzbekistan before finishing in Tashkent. It covers all of the main Silk Road sites while also including some remote, lesser-known locations as well. 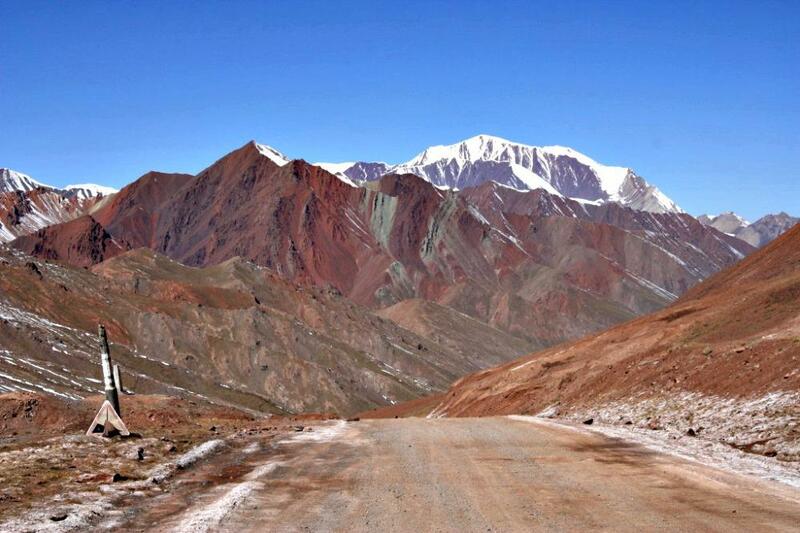 If you’re into the Silk Road, this is the tour for you. 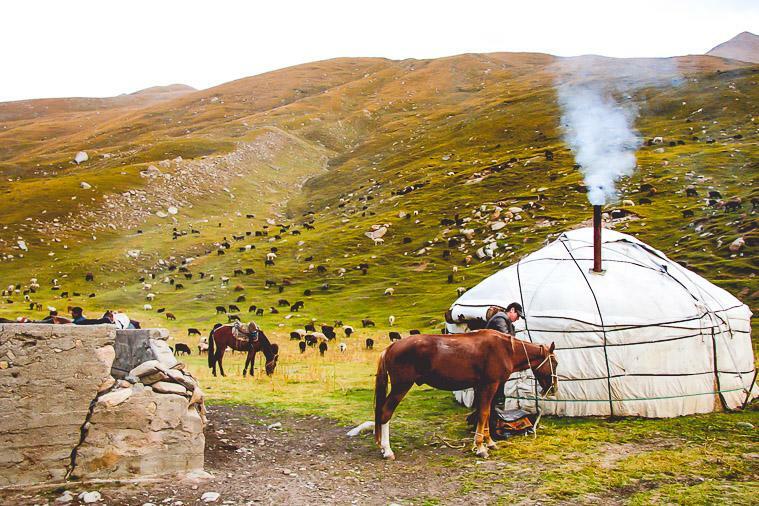 This incredibly comprehensive tour will give you all of the top experiences of a Central Asia trip – from sleeping in yurts to staying in home stays to mountain and desert landscapes to exploring stunning Silk Road buildings. With this tour you can experience it all on a relatively short time frame and surprisingly small budget. If you want to truly get to know Central Asia in just a few weeks, this is the tour for you. I’m fairly obsessed with Kyrgyzstan and Uzbekistan, and this tour takes you through all of my favorite locations in both countries. It begins in Bishkek and ends in Tashkent, while taking you through some of the region’s most stunning landscapes and villages. I would say that Tajikistan and Uzbekistan were the two most challenging countries to travel to, so this tour is perfect for anyone who wants to leave the organizing up to someone else! I also think that seeing Uzbekistan and Tajikistan together is a really good combination, as Tajikistan will give you those amazing mountain landscapes and off the beaten path experiences with locals, whereas Uzbekistan is rich in its Silk Road history and amazing buildings, as well as yurts in the desert. This two week tour shows you the very best of this remote region. 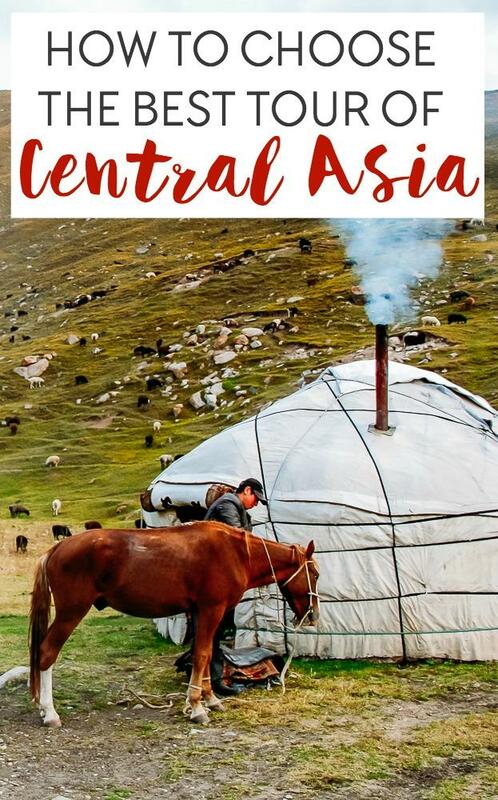 It does an impressive job of covering all the must-see sites of Kazakhstan, Kyrgyzstan, Tajikistan, and Uzbekistan while also taking you off the beaten path to some places that would be hard to reach independently. 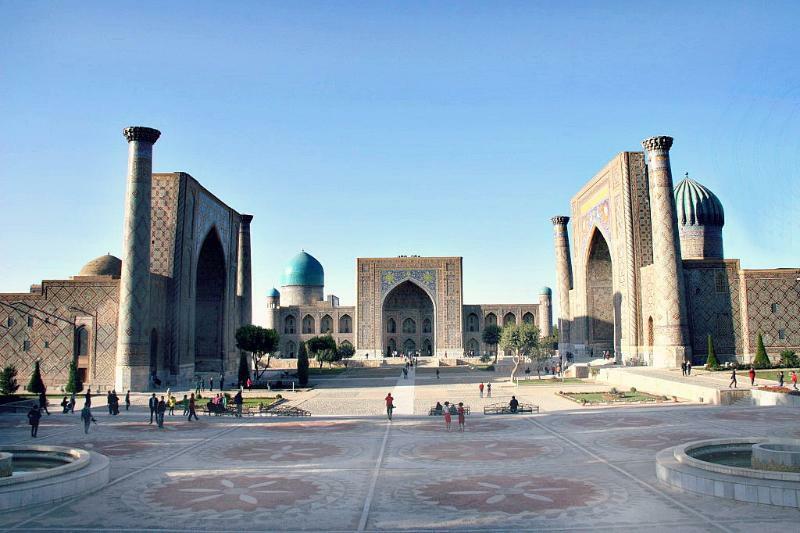 If you want to see a variety of Central Asia, this is the perfect tour. Tajikistan was my favorite country in Central Asia (I mean, that landscape! ), so I’m definitely a bit partial to this tour, which takes you through all of the country’s amazing sites and scenery. It starts in Bishkek, Kyrgyzstan, and finishes in Dushanbe, Tajikistan, while taking you up over the Pamir Highway (over 5,000 meters high!) and right along the Afghan border so you can see right into Afghanistan. I particularly love that this tour includes five nights of home stays in Tajikistan, as my best experiences in the country were of staying with local families. This is hands down one of the coolest and most unique tours ever. It takes you through Kazakhstan, way off the beaten path to corners few people in the world have explored, and it includes a visit to the Russian spaceport of Baikonur, the seat of the Russian space program, where you’ll even get to see a rocket launch! To be honest, I’m more of a mountain person, so Uzbekistan wasn’t my favorite country in Central Asia, but my friend I traveled with is obsessed with history and architecture and it was her favorite! This tour includes visits to Uzbekistan’s main Silk Road cities, as well as nights spent in desert yurt camps and riding camels. I love the variety here, and that it covers so much in just 10 days. This tour includes the perfect miss of cities and must-see sites with some truly off the beaten path adventures into the countryside. It’s also surprisingly cheap, and might actually be one of the most cost-effective ways to see the region. Tajikistan was my favorite country I visited in Central Asia, but it was also the most difficult and expensive to travel through. And that’s what makes this tour so perfect – it takes you to those remote, hard to get to locations and is actually surprisingly cheap. You could either do this tour as a quick taster trip of Tajikistan, or include it as part of a bigger journey through Central Asia. If you do decide to book a tour through Intrepid Travel or G Adventures, please consider starting the booking process by clicking on one of my links. The price will remain the same for you, but I’ll earn a small commission which will help cover the cost of running my site. Thanks a billion! 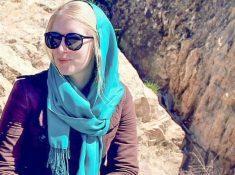 Alone in Iran – What Was I Thinking? 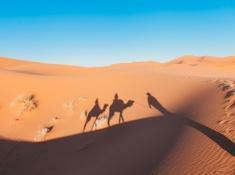 Previous Post: « Female Travel in Morocco – What’s It Really Like? Subscribe to my newsletter for exclusive updates and stories from my world travels and life in Norway! Hi Silvia! I am so glad I found your blog! I love the photos – Central Asia is so beautiful! My husband and I are just starting to toy with the idea of taking 3.5 months to travel through Central Asia. We have used Intrepid Travel a few times before and they are a good company, but we do like independent travel which gives us more flexibility to explore the place a bit more rather than being dictated by a group itinerary. However, there is one aspect of using a tour group that I really like – the opportunity to go to places that are a bit off-the-beaten-track and have experiences that I may not have necessarily known about / been exposed to if not for a tour guide telling me about it. (An example is on our recent trip to India with Intrepid where we visited a Sikh temple and were guided to the community kitchen where we sat with the locals rolling out dough for chapatti – without the guide, we would probably have just walked around the temple, not knowing about the community kitchen, or known that we could partake in making chapatti, and left). Would you mind being more specific about the off the beaten path experiences you are wanting to try after hearing other people’s experiences? Are these things you could have done if you had known at the time? Thank you for writing this blog – it answers exactly what I was asking! That sounds like it will be an amazing trip! I would say if you are able to rent a car and speak pretty good Russian then you should be fine on your own. The main things I missed out on were going to the really random small towns or scenic spots, because I was hitchhiking so couldn’t just drive myself wherever I wanted. And then the same goes for meeting people – my Russian is pretty good so it wasn’t too much of a problem, but if I had been able to communicate fluently like the guides then I think I could have had much more meaningful conversations with people and more local experiences. Ideally I would have started with a tour and then afterwards continued to explore independently, as by then I’d have had a good feel for the countries. Hope that’s helpful – and have fun! India is one of the best countries one can visit and explore some many histories with a lot of amazing facts India is a budgeted country you can spend money and satisfy your needs you can visit India just to see how colorful it is and it is the country of joy this is such a comprehensive and helpful article for someone just starting to plan a trip to Asia, and with so many useful links. Thank you so so much! 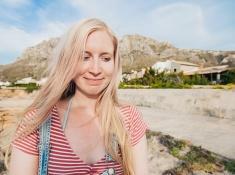 Hi Silvia, I like your stylish, bright blog. You are surprising person! All information is provided unostentatiously, interestingly. You are very interesting person also do very necessary serious work. Hi. Loved reading your blog. I live in India and my wife and I would like to travel through all the five ‘stans’. We can spare about 4 to 5 weeks and would like to do the highlights of each country. Could one of these companies organise a customised itinerary for us? Hm, I’m not sure – you could try getting in touch with them. Hi,Vinodh! My name is Nazo, born and raised in Samarkand. I am working as trip leader for foreigner groups throughout Uzbekistan. I am also working at the travel agency, EWES (East West Elite Service), as an out of office product manager. I would like to explain you about Uzbekistan travel market a little more & give you and idea of the trips I could help in organizing for you. Once a full-time nomad, I'm now trying to find a balance between continuing to explore off the beaten path places around the world while also building a home in Norway. Want to know more? Head to my About page!